The best way to get cheap airline tickets to Florida is to book earlier rather than later when it comes to pricing and availability, as you most likely already know if you’ve done any traveling in the past. Plus see my 12 tips below. Your two best and nearest options for airports for this region are: Sarasota-Bradenton International Airport (SRQ) or Tampa International Airport (TPA). The two airports are quite different in size; however both are easy to get around; it just depends on your choice. I’ve flown into and out of both Tampa (TPA) and Sarasota (SRQ) airports many times and have found them both easy to navigate. Also, Tampa International Airport has been named the 2nd favorite airport in the U.S. in a survey of Conde Nast Traveler Magazine readers. One is a large metropolitan airport; the other is a smaller regional airport. 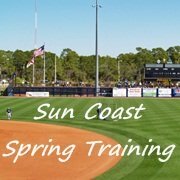 If you want to cut down on your planning time spent searching for flights to Sarasota or Tampa I recommend that you book your flights on-line. 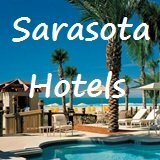 All you have to do is add your departure city and SRQ (Sarasota) or TPA (Tampa) as your destination and you’ll be able to find and shop for the best deals on cheap airline tickets to Florida. Booking on line is fast, easy, secure and normally glitch-free. I’ve never had a glitch when booking a flight on line. It’s the easiest way to go when looking for cheap airline tickets to Florida! Flying on a Tuesday or Thursday will get you the best rates. Airlines update available seats every day at around midnight e.s.t. Traveling on a red eye, which means taking a very late night flight, could also save you some money on your fare, if you can find an available red eye flight into Tampa/St. 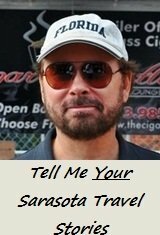 Pete or Sarasota. No matter which airline you select, sign up for their frequent flier miles program. Those miles add up quickly and soon you’ll be able to claim those miles for a free ticket or a nice first class upgrade. If you travel often, there are various credit card companies that give you miles every time you make a purchase. Just read the fine print to make sure it applies to your travel needs and airline choices. Ideally you should book your flight four to six weeks ahead and if you see a good sale, you should take advantage of it. Prices are generally higher eight to ten weeks and two to three weeks in advance of your travel date. 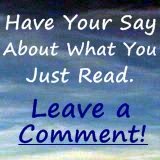 Looking on-line for a weekend deal? Check late Thursday nights, which is when airlines usually release their weekend specials. Get on board with the airlines on their Facebook and Twitter pages. They are giving special sales to those who interact with them on line. Those specials often last only a few hours, so if you snooze, you lose. Discount airlines fares change less frequently so you can feel better about locking in a price. But they don't always have the lowest fare. So check multiple airlines for the best price. If you really want to learn how to get cheap airline tickets to Florida and save up to $500 or more on your next flight, just click here for more information. Flying to the Sarasota Bradenton International Airport is the most convenient airport in the region for travelers coming to Sarasota. Ground transportation is a nearby walk once you disembark. 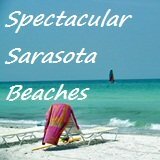 Click here for more about discount air travel to Florida and the scoop on the Sarasota Bradenton International Airport! Tampa International Airport has all the trimmings of a major Metropolitan airport. With a convenient layout and signs posted everywhere, navigating your way through is easy. 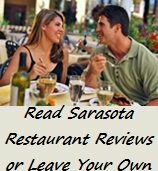 Often you can get better air fare by flying into Tampa and then driving on to Sarasota. Here's more about Tampa International Airport and the airlines that service TPA. 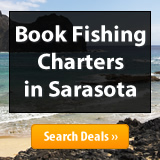 From Cheap Airline Tickets to Florida to Escape-to-Sarasota-Florida.